Brief bio: I’m an endurance coach living in Seattle, WA with my supportive husband and our 7-yr old daughter. I’ve been participating in some type of endurance sport (cycling, running, swimming, hiking, triathlon, etc.) for almost twenty years, and have owned my own endurance coaching business for the last five years. Before I became a coach, I was an aquatic biologist, with a B.S. and M.S. in the marine sciences. I’ve competed in numerous events, from local bike races to longer events like Norseman (“the world’s toughest triathlon”), the White Mountains 100, the Lewis and Clark ultra-cycling race, and Iditasport (on foot). I’ve also done some unsupported ultra-distance adventure runs, including a traverse of the North Cascades, a traverse of Joshua Tree National Park, and a figure-eight loop on the flanks of Mt. Rainier. In addition, my friend Lindsay and I currently hold the Women’s FKT for the Press Traverse, which is a route across the Olympic Peninsula. My complete endurance resume can be found here: https://evergreenendurance.com/about/. Although I’m an avid cyclist, I have never been bikepacking or done a multi-day bike tour! I’m incredibly excited about this scholarship and the opportunity to undertake a new adventure. Thanks for considering me. Why are you interested in this scholarship? This scholarship will help me get back in the saddle, literally and figuratively. I broke my ankle on a trail run last fall, and spent September through December 2017 recovering on the couch, separated from the big solo adventures I love so much. It was a dreary winter. That all changed when this scholarship was announced and grabbed my attention. One thousand miles by bike across Alaska! Suddenly I found myself mapping routes, researching road conditions, and reading trip reports. There may not be many roads in AK, but the possibilities still felt endless. In general, when route-planning, I try to see as much as possible in the time I have. Therefore, loops and point-to-point traverses appeal to me because they avoid backtracking. As I poured over maps, I began to envision a loop, one that would take me past the gorgeous mountains of Wrangell-St Elias and then along the stunning Taylor Highway to Eagle. Of course, the road ends in Eagle… but I saw that the Yukon River continues northward from road’s end. Why not use my packraft to paddle the Yukon River from Eagle to Circle, and then continue on my way? I identified three other rivers that were flowing in my direction of travel, and ultimately came up with a bikerafting loop that involved 1090 miles of cycling interspersed with 260 miles of paddling. I decided to call my route “Where the River Meets the Road,” and it’s described in detail later in this application. Working on this scholarship application reminded me how much I love dreaming, scheming and figuring out trip details. It helped me remember how much I love being outside, by myself, exploring new areas under my own power. Receiving this scholarship will give me the top-notch equipment, nutrition, apparel and funds to make the route a reality. In short, this scholarship will allow me to ride to the end of the road, and then keep on going. In addition, receiving this scholarship will put me in a unique position to pay it forward. With all of my gear and expenses covered, I’ll have more time and energy to tackle another aspect of the adventure: fundraising. Although I know that riding my bike alone through Alaska will be awesome, I also know there will be days when I wonder why the hell I’m out there, grinding along, far from home. On those days, I need a reason to keep going – an external motivator that is bigger than me. In the past, I’ve raised money for a hospice organization while climbing Kilimanjaro, and for SheJumps while summiting Rainier. 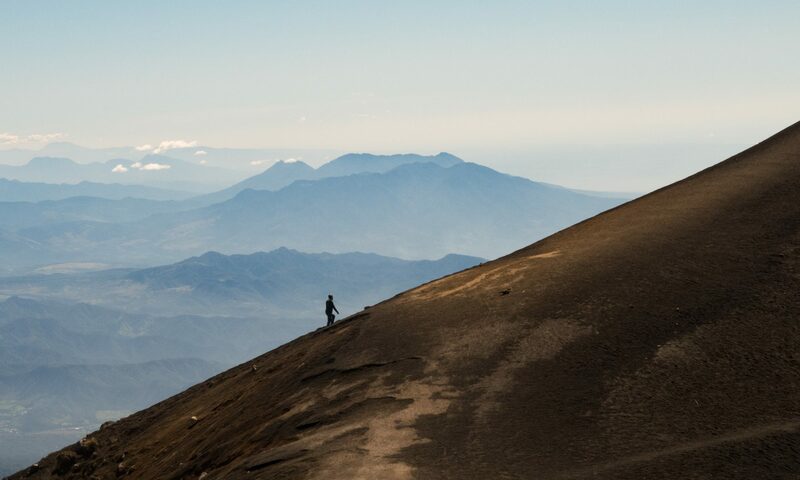 These experiences taught me that fundraising is a great way to shift the focus of an adventure outward, while helping important causes. When I started to think about what cause or organization I might want to support with this adventure, of course Anchorage GRIT came to mind. The truth is, I’d never even heard of Anchorage GRIT until I started following Lael’s adventures, and it wasn’t until I started working on this application that I checked out the GRIT website. The more I learned about GRIT, the more excited I became. As a female cyclist and mother to a 7-yr old girl, I love the idea of getting more young girls involved in cycling. I also like that I’ll be contributing directly to one of the communities I’ll be riding through. And it sounds like Anchorage GRIT has a real need for more funds to help with cabin rentals, racks, locks, water bottle cages, and food. Therefore, I plan to do this ride as a fundraiser for Anchorage GRIT. Committing to this route as a fundraiser makes the adventure even more meaningful, and will give me that extra boost to keep going on the toughest days. I’ll ask for donations per mile ridden, and encourage donors to track my progress via my Inreach tracking page as I make my way across Alaska. Design a 1,000 mile route in Alaska and share this route with us. Include an entrance and exit strategy. Expect the ride to take around three weeks sometime between May and September 2018. You can use Google maps, Komoot, Strava; you can draw a map; you can write out directions. You can include flights, ferries and trains. My trip will begin in the Seattle airport, where I’ll wave goodbye to my husband and daughter and board an Alaska Airlines flight to Anchorage. As much as I hate to leave my family, I’m glad my daughter will watch me fly off to Alaska. In her world, Mama goes on adventures while Daddy stays home to take care of her, and we are all proud of this arrangement. After landing in Anchorage, I’ll purchase some final supplies, take my bike for a test spin to make sure all systems are go, and then attempt to get a good night’s sleep. My plan is to pedal out of Anchorage first thing in the morning on June 21, the day of the summer solstice. I’ll head northeast out of town on the Glenn Highway. I’ve been to the Anchorage area before, but never beyond Palmer, so after the first morning of riding, everything will be new. I’ve allotted the first eight days to ride from Anchorage to Eagle, with a couple of side trips. This is approximately 570 miles, or an average of 70-75 miles per day, which seems relatively moderate considering the nearly endless daylight and the fact that I’ll have nothing to do but ride all day. Although I will mostly stick to the Glenn Highway for the first few days, I plan to explore a few backroads, such as the overgrown but charming Pinochle Creek Rd that briefly runs parallel to the Glenn Highway. I’m also excited about riding the remote and rugged Nabesna Road into the northern reaches of Wrangell-St Elias National Park. Most people visit this park via the southern entrance, so Nabesna Rd is somewhat off-the-beaten path and will hopefully offer some great opportunities to view wildlife. After a little over a week of riding, including some fantastically scenic gravel grinding along the Taylor Highway, I’ll arrive in Eagle: the end of the road. It’s here that I will inflate my packraft, lash my bike to the bow of my boat, and start paddling down the Yukon. Heck yeah! It is approximately 160 river miles from Eagle to Circle, which should take me about four days if I paddle steadily and make the most of the long daylight hours. I’ll float through the Yukon-Charley Rivers National Reserve, take endless photographs, and camp on the riverbanks when I get tired. In Circle I will roll up the packraft and put my bike back together. At this point I begin riding the Steese Highway southwest, past the White Mountains, towards Fairbanks, and into the ghost town of Chena. During the winter of 2016 I raced the White Mountains 100 on foot, so it will be fun to ride past those same mountains and see what they look like in a different season, from a different perspective. From Chena, I will again inflate my boat and paddle down the Tanana River to Nenana. When I reach Nenana, I’ll get back on my bike and ride south along the Parks Highway until I reach Denali National Park, at which point I’ll hang a right and head up Denali Park Road. There’s no way I can ride past the Denali Park Rd and NOT ride the length of it. The first section of this road is paved, but after mile 15 it becomes a well-maintained gravel road that is closed to public vehicles, making it a great place to explore by bike. I’ll ride all the way to Kantishna at the end of the road, camp for an evening, and then catch a shuttle bus back to the Parks Highway the next morning and continue on my way. From Denali it’s a relatively short ride (65 miles and 2k of elev gain) down the Parks Highway to Hurricane Gulch, where I will wave down the Hurricane Turn train. Although I typically prefer human-powered travel, I’m excited about this train! It is one of the last flagstop trains in North America, and is often used by locals accessing backcountry cabins up the Indian River Valley. It has open-air cars, dogs and kids milling about, and it stops whenever someone flags it down. I’ll hop off the train at Gold Creek, which is accessible only by rail, and begin my last float of the journey: 40 miles down the Susitna River from Gold Creek to Talkeetna. I walked on sections of the frozen Susitna during the 2017 Iditasport, and it’s another area I’m eager to see in a different season. I’ll take out in Talkeetna and head for Anchorage, now in the final days of my trip – but not without one last scenic detour up and over legendary Hatcher Pass. Upon reaching Anchorage I’ll pack up my bike for the the last time on this trip, and then catch a flight back to Seattle and home, sweet home. An interactive, detailed map of the route can be found here: https://caltopo.com/m/DJ0H. The itinerary is described in spreadsheet form here. A general overview of the route. Red is bike, blue is packraft, orange is by train. Write out a budget of what this trip would cost for transportation. My budget can be found here. When do you plan to ride in Alaska? How long will the trip take? I plan to begin my trip on June 21, the day of summer solstice. I expect that my trip will take approx 28 days, as described in detail here. Of course, it’s an adventure, so things are bound to go wrong and I have no doubt that there will be deviations from this itinerary. Luckily I have a supportive husband and extended family back at home, holding down the fort and taking care of our kiddo, so if I find myself running a couple days behind schedule that’s no problem. Do you plan to ride with someone or solo? Solo. I do most of my stuff alone, and I’m excited to show folks that this is yet another adventure that a woman can do on her own. Some people think that everything happens for a reason. I’m not sure I believe there is that much order in the universe, but it does seem like breaking my ankle last September ultimately led me back to biking, and to this Alaska adventure. 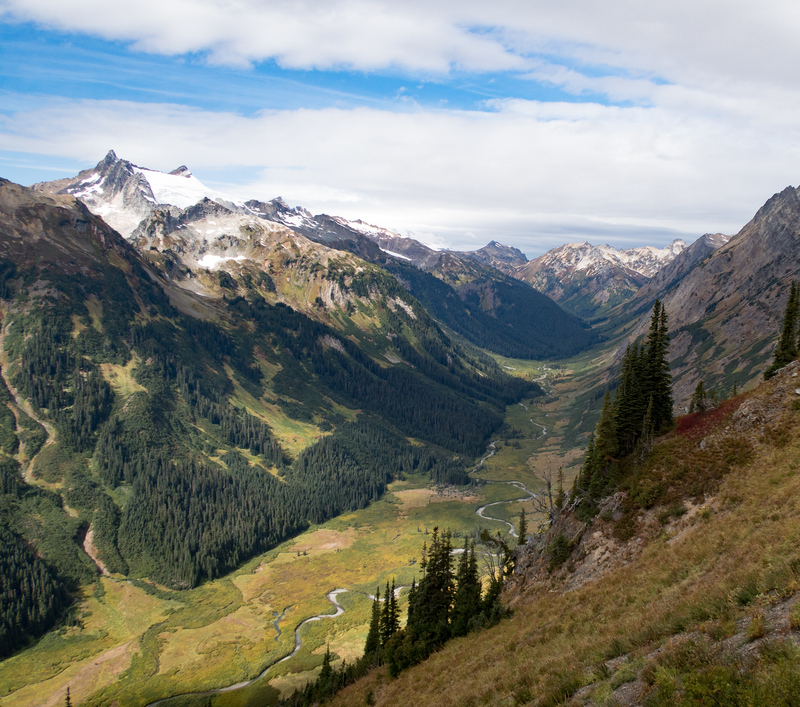 I broke my ankle during a two-day, 50-mile fastpack through the Glacier Peak wilderness in Washington state. It was one of those situations where I was simply in the wrong place at the right time. 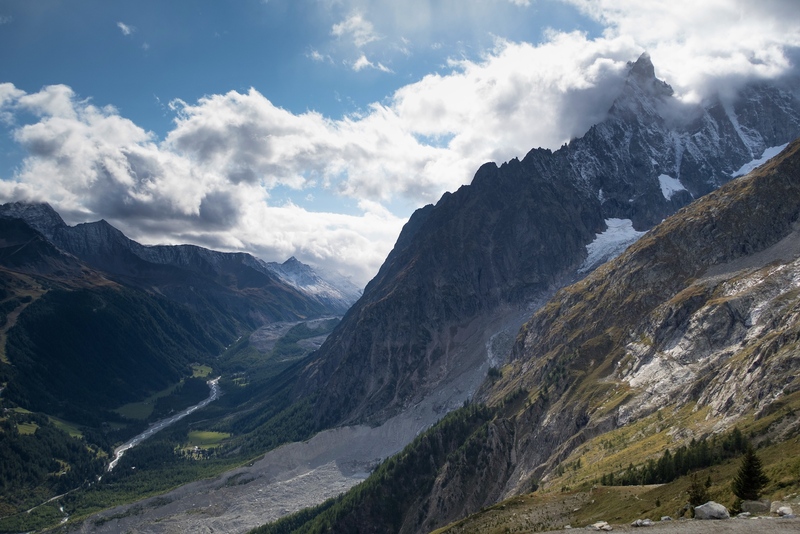 I was walking confidently along a narrow rocky trail, enjoying incredible views into the Napeequa Valley, congratulating myself on making good time. And then WHAM. I suddenly found myself dangling 5 ft below the trail, hanging onto a piece of slide alder to prevent myself from dropping any further. I had somehow fallen off the trail, and tumbled down the steep slope. I’m still not exactly sure what happened. From what I can tell the unmaintained trail simply crumbled away beneath me. You know how you occasionally pass trail washouts and think, Boy, I’m glad I wasn’t there when that happened? Well, this time I was there. Once I crawled back onto level ground, I tentatively tried to walk but could tell immediately that my trip was over. I’ve sprained my left ankle several times, but this felt different. I kept waiting for the pain to fade, as it usually does with a sprain, but that wasn’t happening. And when I stepped on my foot the wrong way, the pain instantly took over everything. I stopped, sat down on my pack, and sent an InReach message to my husband and a few friends who were tracking me, explaining why I was turning around. I didn’t want anyone to look at my live GPS track and worry about why I had veered off-course and was suddenly moving so slowly. I definitely did not want anyone to call Search and Rescue. Although I had a hunch my ankle was broken (later confirmed by x-ray), it wasn’t bad enough that I needed a medevac. I figured it was just going to be a long, slow hobble back to the trailhead. And indeed it was. Ultimately, it took me a whopping 11 hours to cover the 6.5 miles to my exit point. Looking down the Napeequa Valley. I took this photo just a few minutes before I fell. The next several months were all about ankle rehab. I spent a lot of time on the sofa, resting, thinking, reading, writing, and working. I reminded myself that even though my brain hated being inactive, my body needed the rest. I did physical therapy diligently, ate lots of ice cream (it has calcium!) and slowly my ankle healed. In the meantime, I stayed sane by following other folks who were getting after it. I clicked through Lael’s photos of her Alaska Roads project. 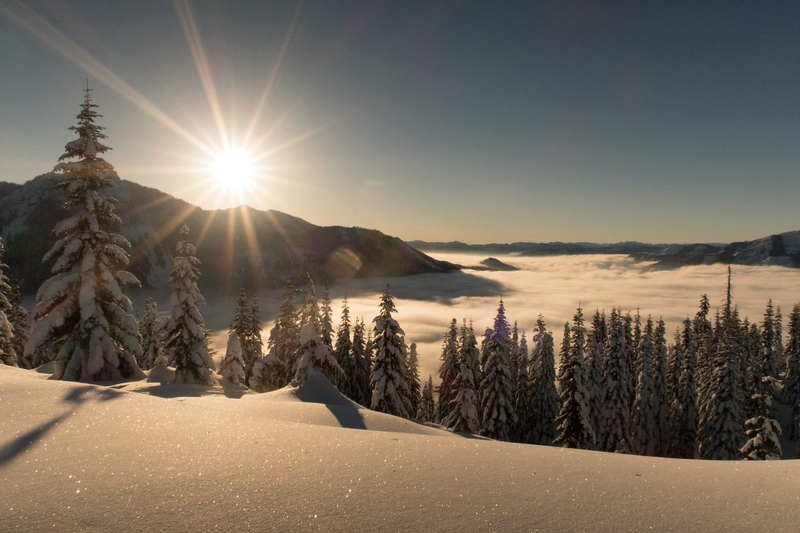 I watched Luc Mehl’s video about the Nulato Hills. And I realized that my bike was going to be my savior. My PT and orthopedist confirmed that I’d be back on my bike much sooner than I’d be back on my feet, at least in any way that was meaningful to me. And it was true. Before I could walk two miles, I was riding twenty. My bike was freedom! When it comes to endurance sports, cycling was my first true love. I bought my very first road bike back in 2006, a Specialized Dolce Elite. It cost approximately $1000, and I remember being shocked at the price – I could buy a car for that much money! A crappy car, but still. My husband laughed and assured me that it was actually a relatively inexpensive bike, and totally worth it. He was right, of course. I still have that Dolce in my garage, and ride it frequently to this day. Last fall, sitting on the couch with a broken ankle watching bike videos, I realized that even though I had been doing more running than riding over the last few years, my bikes were still in the garage waiting for me, quiet and loyal, ready to take me on adventures whenever I was ready. And as an endurance coach, I knew there was enough time to get myself physically and mentally ready for something big in summer 2018. So with my ankle healed nicely, my fitness slowly but surely coming back, and my love for bikes rekindled, the groundwork for this adventure was established. I wouldn’t say that falling down that slope last September happened for a reason, but it does seem to have been relatively good timing. In my opinion, traveling by bike is the best of all worlds. When you’re in a car, you’re trapped and stifled. You’re moving too fast to notice the little things, and even if you slow down and lean out the window, there is still a degree of separation between you and the outside world. On the other end of the spectrum is traveling by foot. Don’t get me wrong, I love a good long run or hike, and it has been my primary form of travel for the last several years. At this speed, you see every little detail. However, travelling by foot can be slow, tedious, and hard on the body. There is nothing quite like the painful throbbing in your feet after running on rocky mountainous terrain for 24+ hrs. Traveling 1000 miles by bike in three weeks is not going to be an easy feat, but it will certainly be more gentle on my body than if I tried to cover the same distance on foot! In this way, cycling is the best of all worlds. You are crossing landscapes under your own power, and traveling slowly enough to savor your surroundings, but not so slowly that your joints hate you and you feel like you aren’t getting anywhere. When I’m on my bike, my mind is calmed by the steady rhythm of pedaling – muscles moving, heart beating, lungs inhaling fresh air. On my bike, I’m certain that my body can take me anywhere. That’s why I travel by bike. Why travel by bike? This graphic by semi-rad.com pretty much sums it up. What excites you the most about riding in Alaska? I love the idea of being able to ride through wild areas. Here in western Washington, roads often mean development, clear-cuts, and other people. 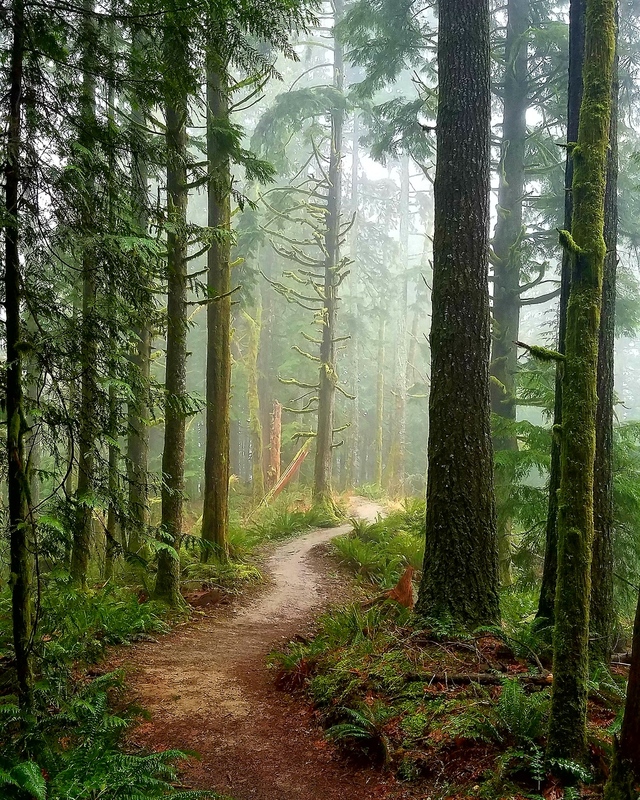 If you really want to get “out there” you have to get off the roads and onto the trails, and even then you’ll probably be dealing with crowds. But in Alaska, the state is big enough and the population is small enough that simply pedaling out of town will give you a real taste of wild. I can’t wait to ride down lonely gravel roads lined with fireweed, glaciated peaks on every horizon. Although I wasn’t raised in Alaska (I wish! ), I’m not a complete stranger to the state. I first came to AK in my early 20s, when I worked for the USGS counting sockeye salmon in Lake Clark National Park. Fifteen years later, in 2016, I returned to AK to complete the White Mountains 100 on foot, and then came back again in 2017 for the Iditasport, also on foot. I’m looking forward to riding along the Steese Highway with those same White Mountains on the horizon, and seeing with my own eyes how they change over the seasons. And it will be so cool to float down the Susitna after I walked on its frozen surface a little over a year ago! I’ve been lucky enough to explore a few small corners of AK so far, and would be grateful for the opportunity to see even more of the state by bike. What methods of expression will allow you to share your experiences in Alaska? I love both writing and photography, and plan to share words and photos on my blog, on Facebook, and on Instagram. I’ve been keeping a blog for many years, starting back in 2004 when I moved onto a boat with my husband, and now as a means of recording my adventures. A couple of my more interesting trip reports can be found here and here. 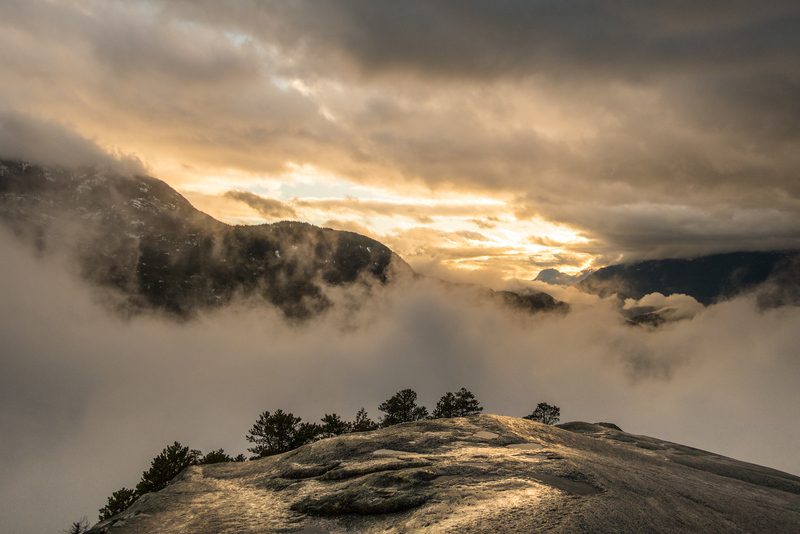 Sunset from the summit of Stawamus Chief, Squamish, British Columbia. 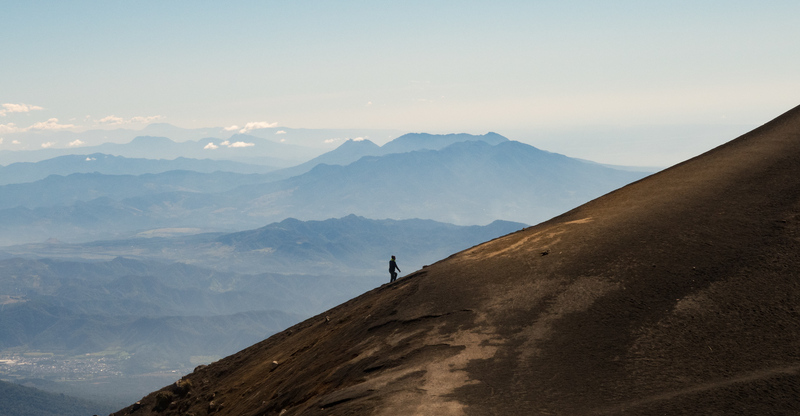 Lone hiker summiting Acatenango in Guatemala. 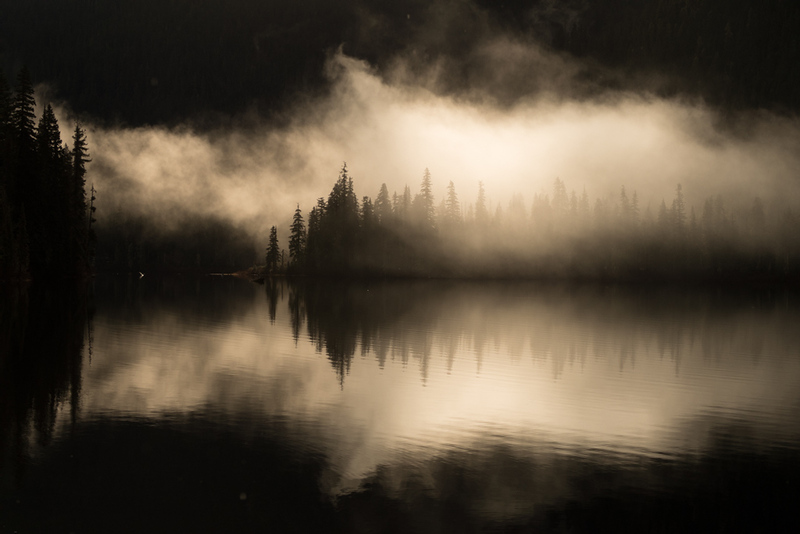 Sunrise on Cooper Lake, Central Cascades, Washington. 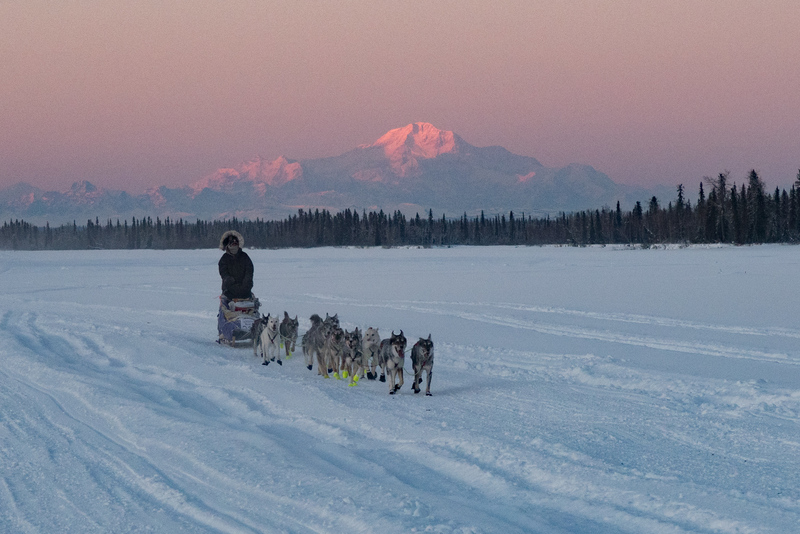 Sled dogs running the frozen Yentna River, with alpenglow on Denali in the background. 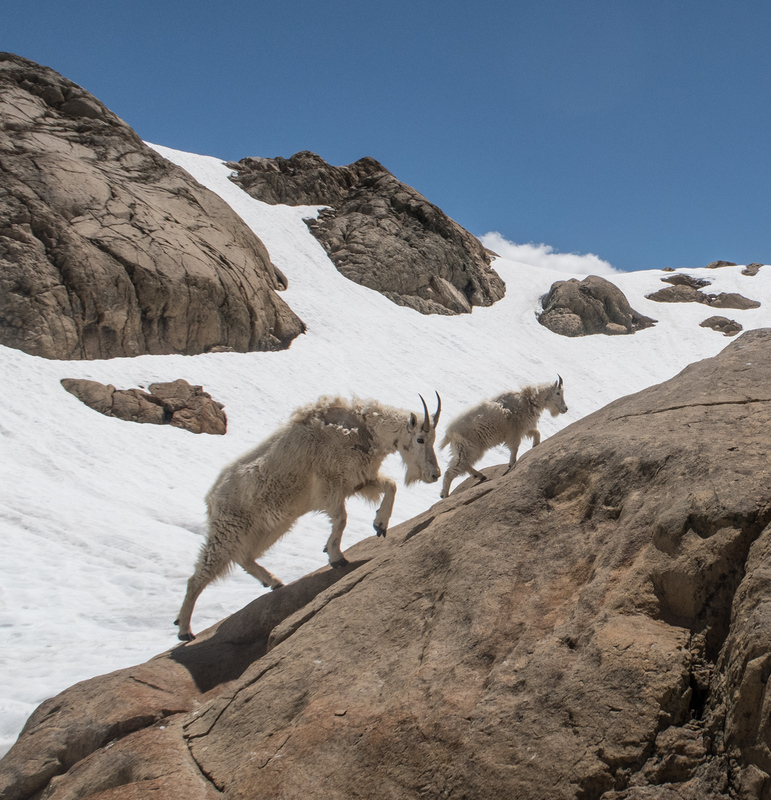 Mountain goats frolicking along the rocky shoreline of Ingalls Lake, Washington state. What else do we need to know or would you like to share? I asked friends and family to read this application, and after doing so, they had a few questions. I’ve answered those questions below, in case you had similar questions or concerns. Do you have enough experience to packraft alone in Alaska? When I was in my early 20s I completed Whitewater Guide School on the Colorado and Arkansas Rivers, and then worked for a season on the Kern River. In 2017 I purchased an Alpacka packraft and since then I’ve been refreshing my skills on numerous class 2-3 rivers here in Washington state. I will also be taking a Packraft-Specific Swiftwater Rescue class this April. All of this will ensure that I am adequately prepared for the class 1 rivers I plan to float in Alaska. Most nights I plan to bivvy just off the road or river. I have friends who live in Fairbanks and Willow, so I might crash at their houses if the timing works out. I also might splurge on 1 or 2 nights in a cheap motel. In addition, I’ll be pedaling and paddling past several public use cabins, and will jump at the chance to stay in one if it happens to be available. How will you get your bike to Alaska, and what will you do with the bike box during your trip? I will likely ship my bike to Anchorage a few days ahead of me, so that I don’t have to worry about any issues with the airlines. I’ll ask an acquaintance in Anchorage to store my bike box during my trip. Please attach a digital photo that you would be willing to share if selected for this scholarship.